Gibbons’ song can be considered one of the most beautiful rhythms in the wildlife world. However, not many people have the chance of listening to this beautiful song as the population of this species is decreasing significantly. 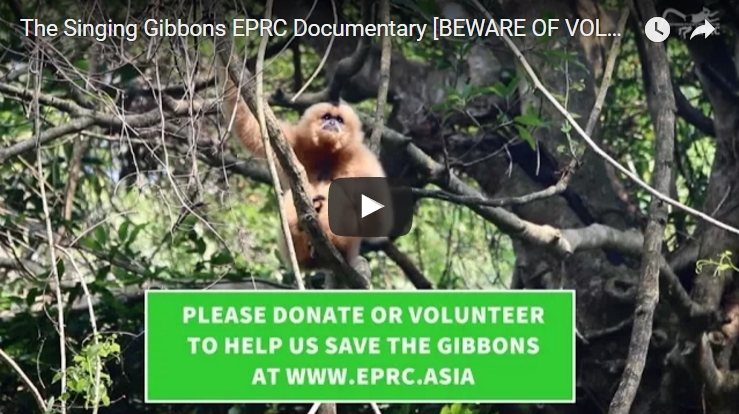 Acknowledging this, Govinda-das Hugo Liénart – a volunteer in EPRC has put up an amazing work after months of observing, filming and making this short documentary about the majestic gibbons’ songs. This 5-minute short film lets audience have a peak into a small part in life of gibbons and from there, be more humble about manself as we are not the only creature on Earth who can communicate in complex form. Bạn có thể xem bản tiếng Việt ở dưới đây nhé!